We were staying at the Stage Stop RV Park in Ozark, MO on Monday, February 6, 2006. Our oldest son AJ started classes at San Francisco State the previous week. He was studying psychology, thinking he might like to work as a counselor. Our youngest son Christopher was on his way to Okinawa with the Marines. We had not heard from him in a few days, so we were not sure of his exact location. We were glad he was being deployed to a safer place than his last deployment in Iraq. We drove into Branson to look around and see the theaters and see what shows had tickets available. We found out at our first stop that this was the off season and there were no big name performers in town. We had a wonderful time anyway. The sun was bright, it was cool and Kathi and I were driving around in the hills together – what a life. We got a call from Christopher while we were driving and he was safe in Okinawa. We spent two days exploring Branson. I stayed lost most of that day and the next as we explored. The lady at the Branson Tourism Center gave us a map and told us to just follow the loop around. I guess I was too loopy, because I found a lot of loops. The whole experience is still a blur to me. If we ever go back to Branson, it will feel like my first time. I do not remember ever seeing the city center. We spent three days in Ozark at $16 per day using our Passport America membership. The fourth day the price went up to $32, so we opted to moved down the road to an Escapees park on Wednesday. We moved into the Turkey Creek RV Park in Hollister, MO for $15 per day. The trip was only 35 miles and it was closer to Branson. It got cold in the evening, but we stayed warm in the motorhome. We heard the temperature was going to be in the teens on Thursday night. We started thinking about south and warmer again. On Thursday we went to the Roy Rogers – Dale Evans Museum. There was a lot of information about their family and careers. 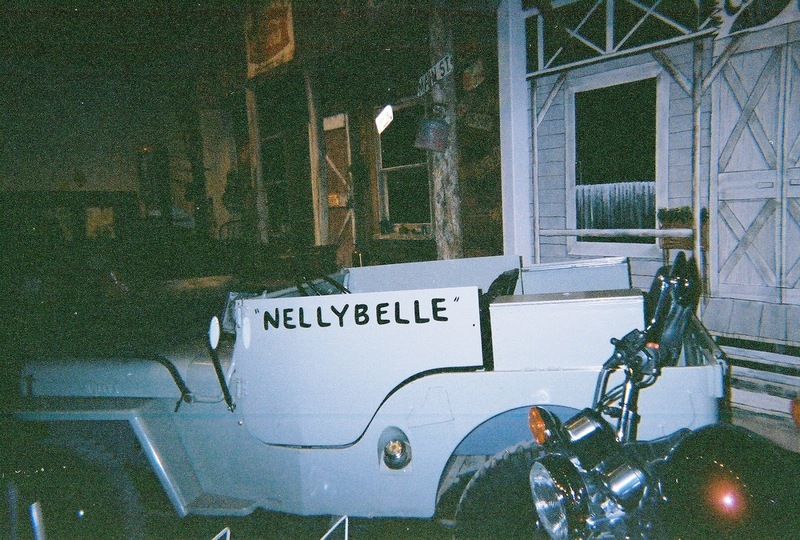 Pat Brady's Jeep Nellybelle was there, Trigger, Jr. was there, also. He was stuffed. 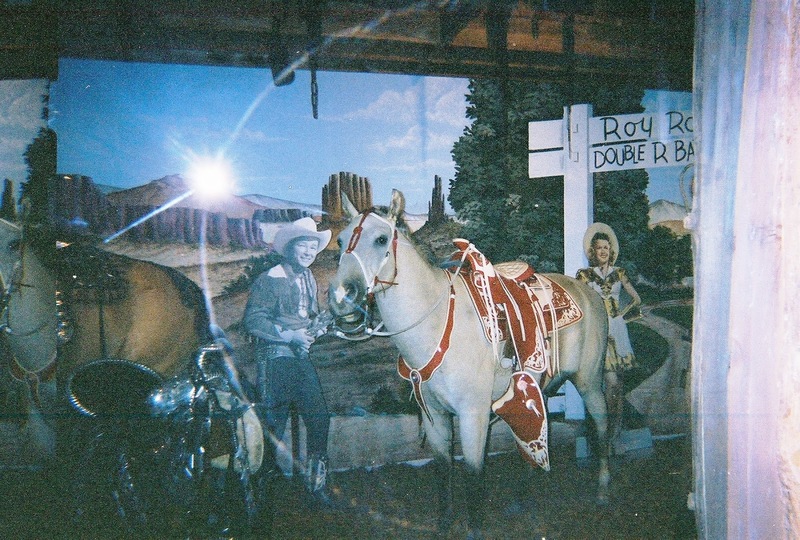 Roy and Dale mannequins were there with them dressed in their western clothing. One of the most impressive pieces to me was a dining room table that George Montgomery had made for them. Since Montgomery was a western actor it did not surprise me that they were friends, but I was surprised that his hobby was woodworking. 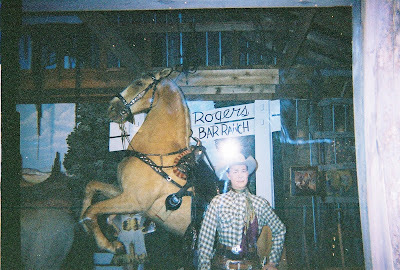 Sorry for the quality of the pictures I took inside the Roy Rogers -- Dale Evans Museum in Branson. At least you can recognize the subject matter. 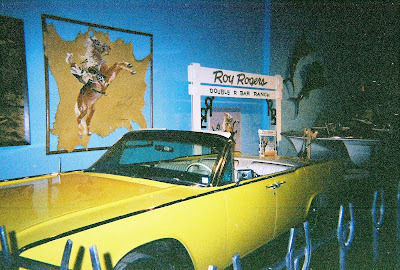 Roy was my favorite cowboy when I was a kid and I could not pass up the opportunity to reminisce at the museum. Friday was cold and doubly cold for us as it was laundry day and we were in and out a lot. We were glad to get all our clothes clean again. After laundry we went to Red Lobster for lunch, then some grocery shopping. It was a nice day, but with our RV traveler mindset, we were ready to move again. You are the reason I like westerns. I did not know Roy Rogers was your favorite cowboy when you were a kid. I enjoyed this one a lot. Now I want to watch a western.